International Preschools as well as schools in Sainikpuri and Hyderabad follow different curriculums. It is no longer just the Secondary School Certificate, Central Board of Secondary Education, Local State Boards or Indian Certificate of Secondary Education. As of now, parents have a score of International options to choose from. Predominantly, the preschools are Cambridge International Examination and International Baccalaureate. In International Preschools, there has been a sudden rise in the number of schools with a CIE affiliation, with most of them in many cities in India including Hyderabad. The CIE programme is executed as per the strict structure of the University of Cambridge. CIE or famously Senior Cambridge was a precursor to ICSE and ISC examinations in India. The qualifications include the Cambridge IGCSE and the International A/AS levels. The best part is that International Curriculum Cambridge IGCSE is accepted by universities and employers in over 150 countries. The NRIS and relocated students became a reason for international certifications. The international schools offering the IB curriculum are known as IB World Schools. International Baccalaureate, simply called IB, is an internationally-recognized school system made up of three educational programmes – The Primary Years Programme (PYP) for Kindergarten to Class 5. The Middle Years Programme (MYP) for Class 6 to Class 10 and the Diploma Programme (DP) for Class 11 and Class 12. A CBSE student can join the IB Diploma Programme for 10+2 level qualifications instead of the Class 12 CBSE, ICSE or State Board exams. International preschool in Sainikpuri that is leading is Spring Board International Preschool. Along with great curriculum, Spring Board International Preschool in Sainikpuri provides a strong educational foundation with a focus on environmental consciousness. Each child’s potential will be nurtured through our vibrant learning environment which combines play, carefully designed lesson plans, and thoughtful interactions. In Spring Board International Preschool in Sainikpuri, your child is valued as a unique individual and acquires lifelong skills that lay the foundation for future schooling. We believe in the unique way each child views the world and are committed to their development by offering engaging experiences. 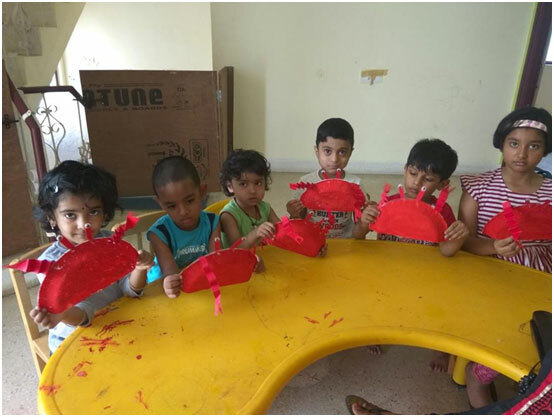 Preschool Program of Spring Board International Preschool, Sainikpuri introduces children to more structure and teacher-guided activities, while balancing play and exploration. Spring Board International Preschool is the leading international preschool in Sainikpuri. Next articleహెబ్బా పటేల్, అరుణ్ అదిత్ ’24 కిస్సెస్’ ఫస్ట్ లుక్.